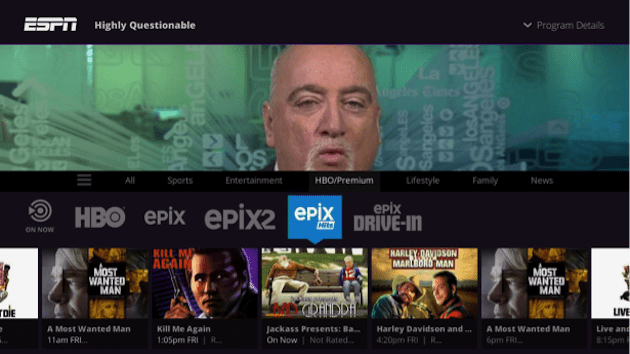 When Sling TV hired Ben Weinberger as Senior Vice President and Chief Product Officer this past summer, there was a lot of speculation that he would be responsible for overhauling the live streaming service’s user interface. In September, a new channel guide was launched on Xbox One as well as made updates to Amazon Fire, Android TV, and PC/Mac interface. In continuing with this “Phase One” new UI rollout, today, Sling TV has pushed out a brand new user interface on Roku devices. 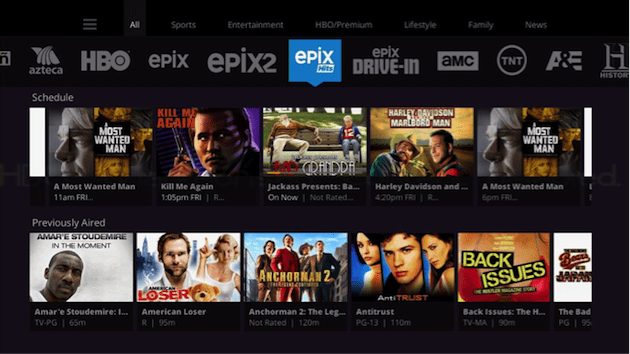 What does the new Sling TV UI on Roku look like? And how has it improved over its predecessor? Does it provide a better Roku live TV experience? The main thing is the new channels guide. With a filter ribbon and new remote control functionality, flipping through channels and finding the content you’re looking for is now much easier and far more intuitive. The filter ribbon at the top of the channels guide lets users easily sort and flip through channels by category, rather than having to scroll sideways through every channel in their package. Just highlight the filter, press “Ok”, and you’ll see all channels within that category. Filters so far include: Sports, Entertainment, HBO/Premium, Lifestyle, Family, and News. As of right now, there doesn’t seem to be the option to create your own customized filter, a feature that I’d personally love to see. But perhaps they’ll add this feature in the future. The “OK” button gives one-click access to the menu while you’re watching TV, allowing you to adjust settings, parental controls, turn on Closed Captioning, and search. It also selects content in the guide when you highlight it. The “Up” and “Down” buttons no longer change channels, instead the “Up” button brings up the mini guide while the “Down” button pulls out the new full channel guide, allowing you to easily see what’s on now and the full on-demand library. “Left” and “Right” buttons lets you change between channels in the guide. The “Left” button also lets you return to your previous channel. As Sling TV grew from a basic 20-channel lineup to one that now includes a huge number of channels in its add-on packages and thousands of hours of on-demand content, the original user interface became less and less useful, making it difficult to flip through channels and counterintuitive to hunt down on-demand content. The latter was the major issue for myself and other users. Finding on-demand content was difficult if you weren’t very familiar with the interface. You had to highlight the channel, press up, then press down to scroll to the on-demand library. Now, there is one-click access to on-demand content by simply pressing the “Down” button and pulling out the full guide. Hopefully, this first phase is a sign of more good UI improvements to come from Sling TV.